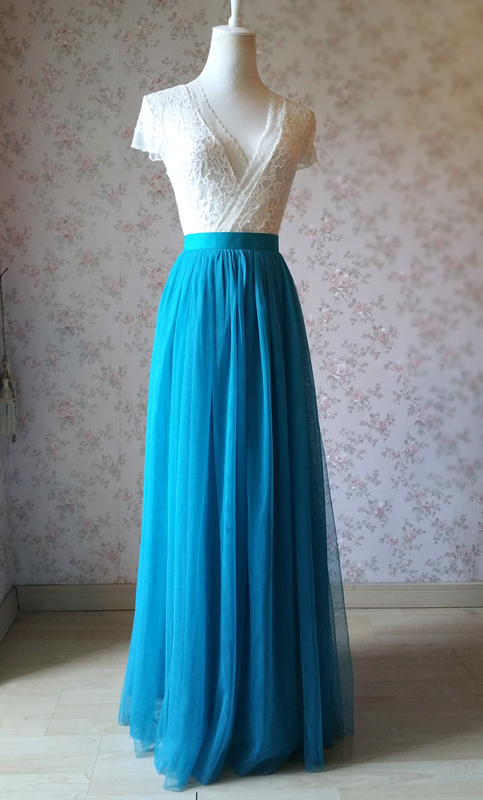 MAXI TULLE SKIRT, CASUAL WEDDING SKIRT, WEDDING TULLE SKIRT OUTFIT, BRIDESMAID TULLE SKIRT, Ball Gowns, Beach Skirt, Simple WEDDING BRIDESMAIDS SKIRTS,Plus size Tulle Skirts, Sky Blue Light Blue Baby Blue White Pink Blush Tulle Skirt, Full Length, Something Blue For Wedding, Custom available. - This maxi dress is made from 2 layers top quality Tulle and one piece of imitating soft satin lining. 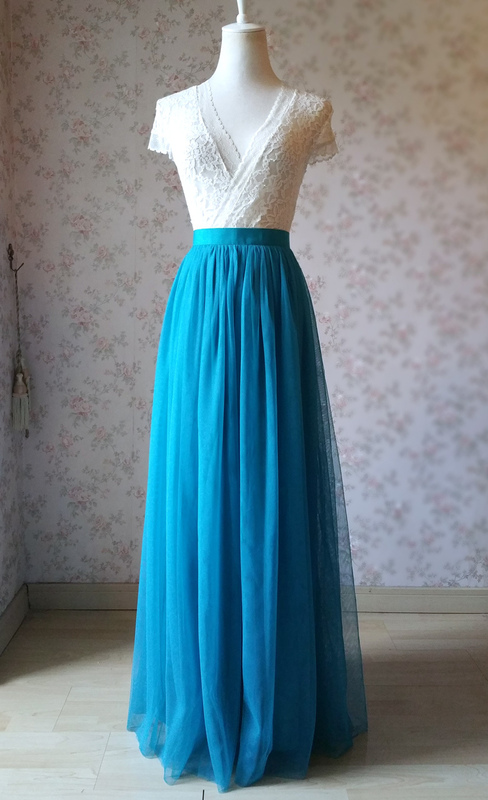 - Top quality fine tulle, which is straight, soft and light. - Fixed Waist Band as picture showed. 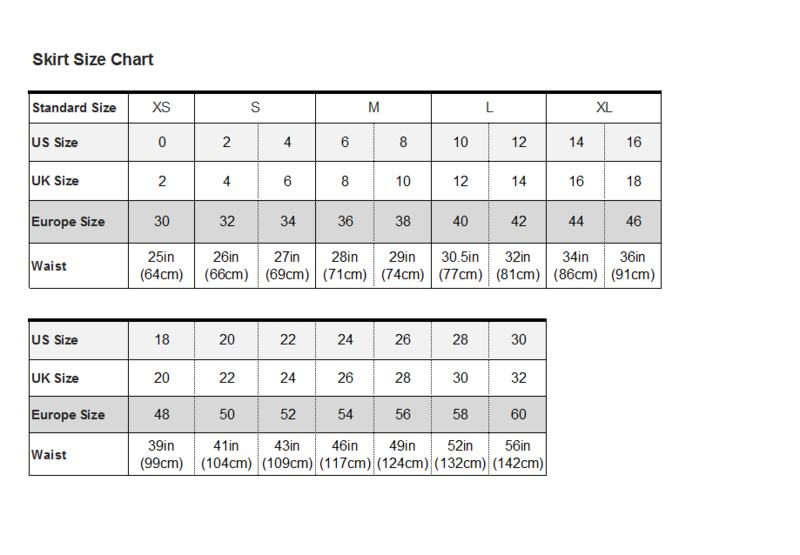 Please check the size chart and choose your size. 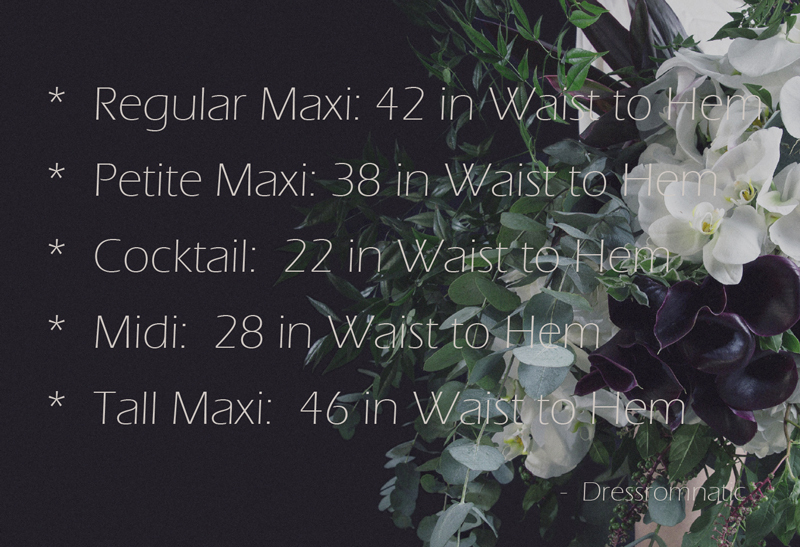 If you need it to be custom made, please add your exact waist measurements (what inches) in the note. - Elastic waist also available, the waist band is very soft and easy to wear. Just choose the regular size and add the elastic waist request in the note while you place order. 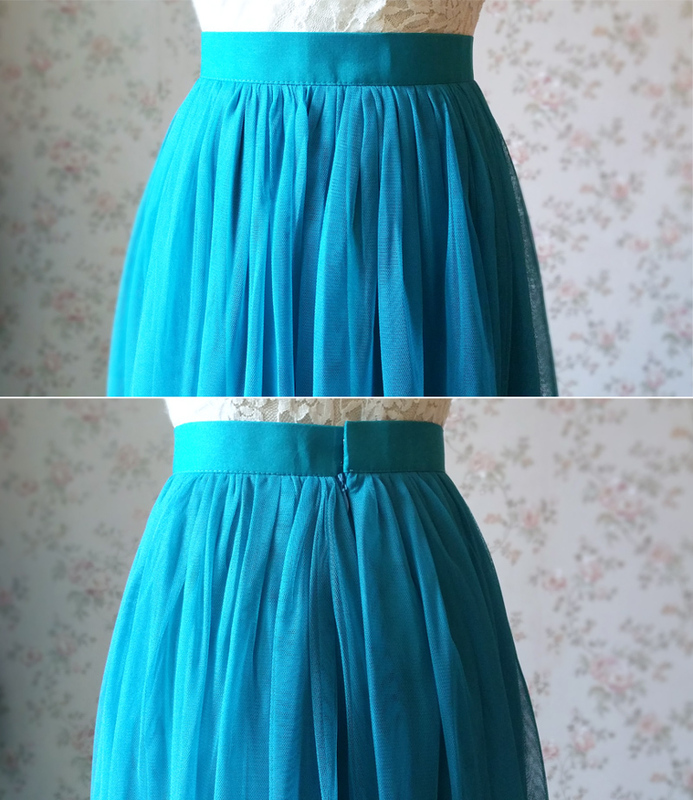 - This tulle skirt is special fitting as wedding bridesmaid outift. If you need to custom made for your girls, please let us know and we would make a perfect plan for your bridesmaids. 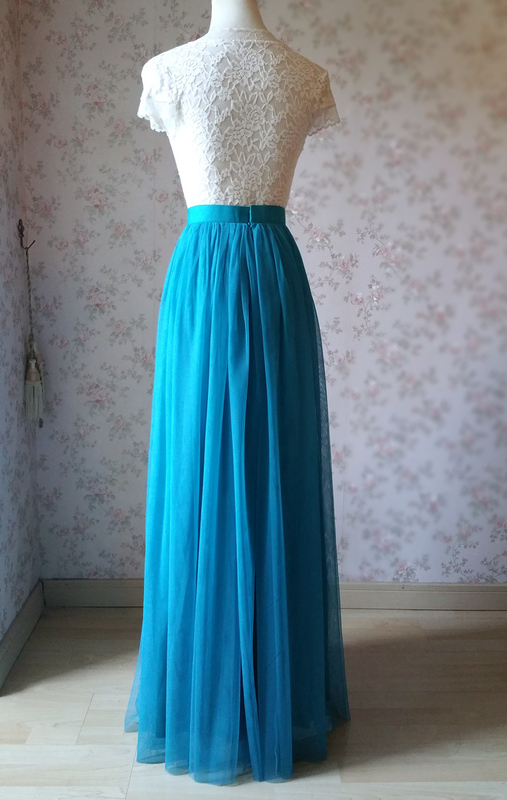 * Length: We offer 5 skirt lengths, Please add the skirt length in the note for your order. - Picture Color: #24 Ocean Blue, Other colors are all avaible. Just add the color number in the note. - More colors for choice, Please check the below listing, and PLEASE ADD THE COLOR NUMBER IN THE NOTE WHILE YOU PLACE YOUR ORDER.